No Static Build-Up - Glassine paper is free of static electricity that plagues disposable plastic weighing dishes (polystyrene and polyethylene). Contaminant Free - Pure glassine is an ultra-clean paper product. 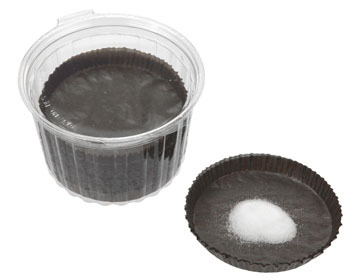 Easy To Use - Robust and durable yet easy to fold for pouring. Ideally Sized - Measures 3.5" diameter for standard weighing balances. Color Contrast - Chocolate-colored glassine reveals every particle of material.